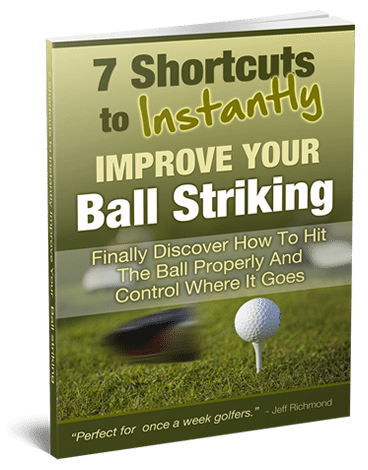 If you want to loosen up your golf swing for longer golf drives then listen up. What I’m about to reveal to you is a great, simple way to do it. Ok, so you want a longer, more flexible golf swing — like a Fred Couples type of swing? Well, one great way you can do this is to swing a heavy golf club. One of the reasons why John Daly has such a long swing is because as a small child he was forced to swing using full sized mens golf clubs, because he didn’t have any kid golf clubs. These were obviously way too long and way too heavy for him and this helped him to build a long, powerful golf swing. And it’s not too late for you to improve your own swing by doing something similar. To do this you need to find an old driver and then get some lead tape (which you can find from a pro-shop or an online golf retailer) and place the lead tape on the driver at the back to make it heavier. When you do this you want to make the heavy driver only about 15% heavier than your normal driver. If it’s any heavier than that then you won’t be able to maintain a good golf swing very well. So once you have your heavy driver you simply have to practice your normal swing using the heavy club. When you swing your heavy golf club you should focus on swinging it fully with a nice fluid movement creating the biggest, widest arc you can – both back and through. 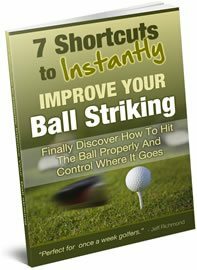 Start swinging your heavy club a little every day and with continued use you will not only drive the golf ball longer, but you will swing easier and more powerfully which will make playing golf significantly more enjoyable.